Court is now in session! Will the defendant please take to the stand? For everyone outside of Japan, Phoenix Wright is a bold and new concept for a game. Can Western gamers really appreciate a highly text driven game about a defence attorney? For the case against this game for being a waste of money, I plea with you, members of the jury, hear this review and then pass your verdict. Phoenix Wright Ace Attorney sort of stumbled its way into my DS collection when there wasn't really any other titles that had my attention. Purchased on a whim, with non prior research, I held very little in expectations for it. I must say that Phoenix Wright has changed my perspective on what can make a great game, never in a million years would I have thought a law game could captivate me to such the extent Capcom's masterpiece did. I will start by informing the court of the foundations to this case: Phoenix Wright sees the player adopt the roll of Nick "Phoenix" Wright, a newbie defence attorney understudy with no cases to his name. Nick works at Fey & Co Law Offices with the very charming Miss Mia Fey, who guides Nick through his first ever case and inspires him in many others. It is in this first case where we start getting introduced to some of the steady characters, like Miles Edgeworth the prosecutor, who will stop at nothing to get a guilty verdict. Acting as an antagonist through the game, Miles is the opposite of Nick Wright, causing friction and adding some personal depth to the game. Players will encounter a selection of off the wall characters who provide the frequent bursts of comic relief throughout the game. Being focused on law and very heavily text based, its surprising to find the mood is actually pretty damn hilarious, though with an undertone of seriousness. On occasion, the seriousness will be the more predominant tone, but even during such times a laugh is not far away. Almost every conversation will contain some sort of oddball humour; the great thing is that it never gets stale. I put this down to the diversity of characters and their several quirks which gives them an unrivalled uniqueness. Ace Attorney is divided into 5 chapters which have to be played through in order, unless you have completed the game and then can choose whatever chapter. Don't let such a short number of chapters act as a deterrent, their lengths are a good couple of hours each. Upon the start of each chapter you gain a glimpse of the murder. Sometimes the murderer is even seen, and soon after these events Mr Wright gets a call to defend the prime suspect. The locations in the game are shown by still backdrops; that is to say, there is no dimension to them, just a 2D face-on view. When a person is in the room they will appear on the middle of your screen. The 2D style suits the games point and click nature - if any 3 dimensional depth was added to the scenes then clue finding would be quite difficult. Your objective at said locations is to find out as much about the crime through talking to people and examining crime scenes. Any evidence gathered is added to your 'court record' which is your itinerary for evidence, and then you can check over the court record to look for any relevance to your current situation. At any scene you are at there are either two or four options governing your interactions with the environment. When alone you will have two options “Examine” and Move”, and when there is someone present the options “Talk” and “Present” are added. “Examine” allows you to search the area for clues using the stylus; once you find a possible clue you tap the examine button to see if it's worthy of adding to the court record. In the last chapter you will get to examine evidence in a 3D viewer. The feature is not present in the first four as they are based on the Japanese-only GBA version. Tapping the “Move” option gives you a list of all possible locations you can travel to. When people are around you can choose “Talk” to bring up a number of subjects with which you can converse about. Through talking to people you can also gain evidence to the court record and unlock new topics of conversation with that person and others. “Present” will allow you to show people items from your court record, doing so can add further evidence and trigger new conversations. At times the process of moving from location to location examining, presenting and talking to people can get a bit tedious, especially if you are at a loss for what to do. Sometimes that one clue won’t click with you, or you have just overlooked something very simple. Whatever it may be, these moments can become quite boring, but fortunately the overwhelming feeling of accomplishment for finally solving the mystery greatly outweighs any boredom you may have suffered. Once all the clues have been gathered that part of the chapter will end, you will then usually find yourself further down the timeline and in the courtroom. This, believe it or not, is the stage in the game where humour runs riot and you whits will be put to the test. The usual proceedings of a court session consist of an initial statement by a witness or the defendant, followed by the defence’s cross-examination. At this point the testimony of whoever took the stand is divided up into little sections which you flick through on an infinite loop. You have two options for each part of the testimony “Press” and “Object”, both are exceedingly fun as you get to yell them out via the microphone when holding X or Y. The objective in the cross-examination is to break the person down til there is no shadow of a doubt that you are right. On many occasions each character has several testimonies with interludes and interruptions of banter between the Judge, witness, prosecution and the spikey haired titular defence attorney. In court I have had a wig thrown in my face, seen sexual advances made at the judge and even had the opportunity to cross-examine a parrot. Yes, a parrot. Pressing a statement gets the witness to explain what they said in more detail, sometimes giving you vital information or requiring them to amend their testimony. Objecting to a statement requires you to provide evidence from your court record that contradicts what the person just said. If you do this wrong the judge will penalize you - get penalized too many times and you lose. Be careful, because even if you do have the right evidence in an objection you will sometimes need to point to a specific part, e.g. page 2. As mentioned, the visuals in this title are two-dimensional. They do look nice however and they certainly don't put you off playing. Sound is a selection of context sensitive tunes that change with the mood of the situation, this works to good effect. Sometimes though, the looped music can get a tad annoying. This is a game of wit and humour that appreciates the player’s intelligence and greatly rewards their accomplishments. It is full of moments where you will marvel at your achievements or cringe as your case starts to fall down around you. These moments are what makes Ace Attorney such an entertaining delight to play, highly impressive for a point and click adventure with still visuals. When you have saved your client by getting the “Not Guilty” verdict, you get to watch as the confetti falls down around you in the courtroom (yes, confetti). Nothing beats the feeling of pride and accomplishment you get inside. All those risks you took, all the time you placed in the case and the sheer effort involved in defying the odds, testifies more than any words could, how much you rock. Members of the jury, to the charge of this game being a waste of money I have no shadow of doubt in my mind that it is not guilty! Fantastic Game just completed it myself a must play for all DS owners. The third game's even better. This is my favorite of the series, but any chance of the other ones getting reviewed? I could do it. I would rate it 10 too ZERO, but it's just not the kind of game that everyone would easily enjoy. An 8 is fine. 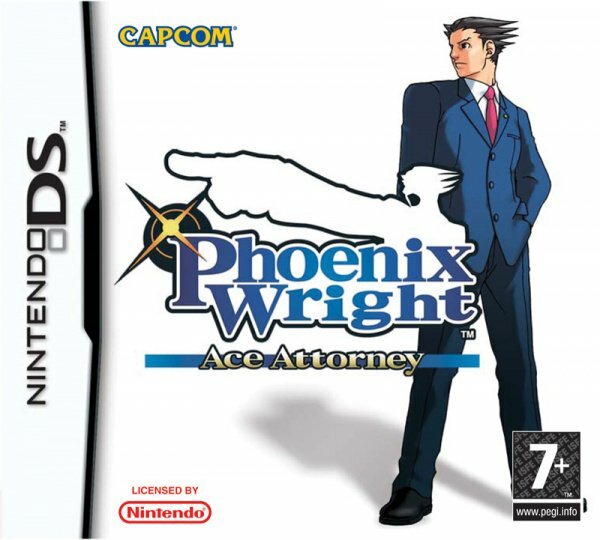 By the way Tom, Phoenix's birth name is Phoenix Wright, not Nick Wright. Nick is the nickname, Phoenix is the real one. Very good game, Capcom could have made it a lot better, though. I'm not a big fan of the still graphics (when someone walks into the room, they just fade onto the screen). There are 2 contradictions in this witness's review. A) Phoenix's real name is Phoenix, "Nick" being a shortened name given to him by Maya Fey and Larry Butz. B) It should be 10 outta 10.